Today, children’s author Annette Cauchi shares her experiences of self-publishing with Amazon KDP Select. Annette is an Australian author. I can’t answer that question, but I can tell you about my experience as a first timer on the megalith that is amazon.com. I published my first children’s novel as a Kindle ebook on Amazon at the start of December 2012, so my journey is still beginning. In this short time I have learned a lot, particularly as I knew less than nothing about ebooks or self-publishing when I decided to take the leap. The first thing I did was buy a Kindle, so at least I knew how they worked. I got the basic model which is only black and white (or at least 50 shades of grey), but I believe the latest ones are colour. I would say that anyone who plans to read Kindle books to children, or wants to encourage children to read them, would be better off with colour. I am told that iPads display Kindle books beautifully, better than Kindles in fact, and overall are a lot more useful. My book is aimed at children nine years old and older. It doesn’t have any pictures, so black and white is fine for now. I would actually like to include illustrations, perhaps of the simple line drawing variety, but I can’t draw and have no money to pay an illustrator. That’s okay though; words are my tools and I’m happy to stick with them. One big appeal of Kindle Direct Publishing is that it’s very user friendly for the newbie and the technologically challenged. If you don’t want to include graphics you can simply upload your Word file and it will automatically be converted to Kindle format and published without you having to do anything. The downside of this simplicity of is that, in the absence of any professional oversight, the Kindle store does contain many examples of poorly-edited, uninspiring and amateurish books uploaded by wannabes unable or unwilling to reflect critically on their own pet projects. There are a few essential requirements when preparing your MS Word file. They are clearly explained in the Kindle ‘Help’ section, and I learned a few things about MS Word in the process. I asked my daughter, who has drawing and graphic design skills, to create my cover. A brilliant eye-catching cover is essential according to all the ‘how to be successful on Kindle’ guides that I’ve read (and that’s quite a few). I don’t know how mine rates, but I’ve had no negative feedback and I’m happy with it for now. The next big decision was whether to enrol in Kindle Direct Publishing Select or not. There are advantages and disadvantages. Detailed information on this is available elsewhere, but put simply the benefit of enrolling in Select is that your book can be borrowed by Amazon Prime members, for which you receive a royalty that may be more than you would make on a sale. Also, as a Select member you can promote your book free for five days out of every 90. The downside is that you can’t publish electronically anywhere else during that 90 days, but you can publish hard copies and at the end of 90 days you can either opt out of Select or sign up for another 90 days. Because it seemed simple, had potential benefits and I had no immediate plans to publish elsewhere I decided to enrol my book in KDP Select. One big appeal of Kindle Direct Publishing is it’s very user friendly for the newbie. So after setting my prices, distribution rights, categories and tags I hit ‘Publish’. A few hours later, there it was: my book available for purchase on the Amazon Kindle Store. Okay, so now what? Who’s going to notice my little ebook among the millions on the Kindle store? Obviously the first thing is to encourage family and friends to buy a copy. That was an interesting exercise. People showered their praise on me but not many actually went straight to their computer and bought the book. Fair enough, you can’t force people, but your friends and family are not going to make you successful on Amazon. So what next? Back to the ‘how to’ manuals. Rule number one: reviews and lots of them. One friend told me she only buys Kindle books with at least 50 reviews. In effect this means she only buys books from established authors, although I don’t think she sees it that way. Her view is that she wants value for money, and again that’s fair enough. We all want value for money. So how do I get 50 reviews? This is where being in KDP Select comes in handy. I have five days where I can give away the book as a free promotion, and lots of giveaways should result in at least some reviews. So for five days over Christmas my book was available for free and resulted in over 1500 copies downloaded, of which more than half were on amazon.uk. This resulted in a total of three unsolicited reviews and increased sales in the following couple of weeks. Now I have to resist checking my sales figures every hour and get on with what really matters: writing my next book. I have decided to write a sequel, purely from a marketing point of view. It has been a genuinely interesting journey so far, and this has been a greatly abridged version of my experience. I do believe we are still at the beginning of the digital book era and I am optimistic that there is a future for me on Amazon Kindle. 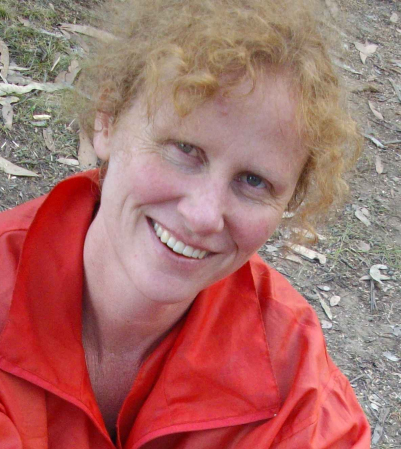 Annette Cauchi is a writer and teacher from the Huon Valley in Southern Tasmania. 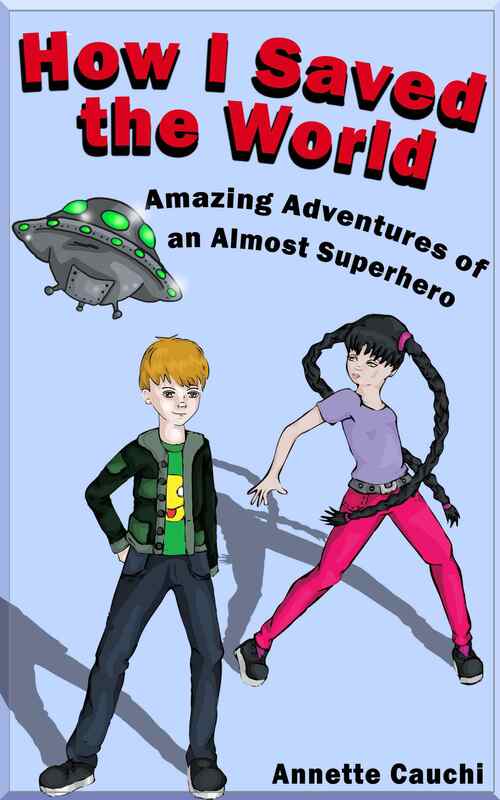 Her first novel for children, How I Saved the World: Amazing Adventures of an Almost Superhero, has just been published as a Kindle ebook. Click here to visit Annette’s blog. Today emerging writer Paul Xavier Jones shares his experience of publicising his book through the Harper Collins website, Authonomy. Authonomy is a website managed by Harper Collins publishers. The idea is, rather than submitting a manuscript directly to the Harper Collins’ slush pile, users of the site rate books and provide feedback to authors. A fledgling writer can upload either a few chapters or an entire manuscript onto the site. Other writers and the general public then read as much as they like, and rate the book. There is a ranking system, based on how many people load the work onto their ‘bookshelf’ and there is also a ‘star’ rating system. Readers can leave comments about the work, or suggestions for improvements or ideas. If your book gets into the top 5 of books on the site, then Harper Collins will select it for review by their editorial team. What have you found useful about the site? I found the comments section the most useful, although you have to take them with a pinch of salt. A lot of the people who write comments are other authors on the site. They tend to be gentle with their comments, because they want you to read their work and comment favourably, or back their work by putting it on your virtual bookshelf. I only got one really critical comment, and the person leaving it had a point; I used what he said to improve the work. What hasn’t been useful about the site? The site isn’t achieving what Harper Collins set out to do. People solicit for votes. If you want to move up the ranks, you need to plead for votes, or join voting ‘blocks’ where if you vote for someone, their friends will vote for you. There seems to be little interest in the actual merit of the writing itself. The work on the site is variable in quality. I’ve read stuff that was absolutely first rate, and I’ve also read stuff that was poorly written. At ten years old, Paul Xavier Jones was part of the generation captivated by the first Star Wars film. He thus began a life long love affair with sci fi, fantasy and thrillers. Three decades later, he has accomplished something that was just a dream back then – completing his own work on a sci fi thriller, Boundary Limit. 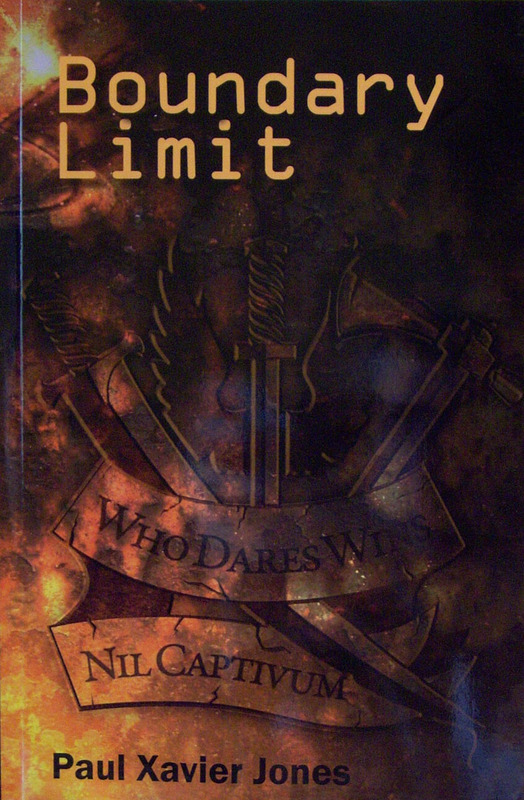 Paul has also written a fantasy trilogy, the Ameca J series, which will be available on Kindle shortly. Paul is married, has two daughters and lives in Wales. What happens when a boundary limit is exceeded? Blake Trubble is a man with an obsession. Personal tragedy and a troubled past have moulded him into an emotionless killing machine, with one aim in life – the ruthless and relentless pursuit and destruction of all extremists. With his job as a Major in a crack SAS team dedicated to hostage extraction, he has numerous opportunities to fulfil his aim. But there’s one man Blake wants more than any other: Mahmoud Sabak, the Western governments’ most wanted terrorist leader, the so-called ‘missing link’ between the Taliban and Al Qaeda. When Sabak seizes the Euro Large Hadron Collider at Batavia, Blake must rescue the four hundred scientists and staff being held hostage from Sabak’s deadly grip. But both Blake and Sabak haven’t counted on the power of the Collider – when it pushes at the boundary of this reality, breaching its limits and opening a door to another. Click here to visit Paul’s blog. You can order Paul’s book through Amazon UK. Click here to visit Authonomy. In the second part of my interview with author Amber Averay, Amber talks about her writing life. Amber, are you a full-time or part-time writer? How do you organise your writing time? Through necessity I’m definitely a part-time writer at this stage. I’d like to be able one day to be a professional full-time author, but right now it’s a case of writing when work and family commitments allow. Unfortunately I don’t have an organised diary when it comes to writing. When the mood takes me, I get on the computer or whip out paper and pen and begin. However I never try to force a chapter out. When I’m motivated I can write up to twenty pages a day; when I’m not, I find it hard to even scratch out a paragraph. I have found, though, that if I’m enjoying what I’m working on I’m rarely lost for motivation! How does your own background inform your writing? I’ve grown up with books; my mother read to me almost from being a newborn, I’ve been told. As soon as I could read I was never without my nose in a book, mainly Elizabeth Goudge’s The Little White Horse, or E.B. White’s Charlotte’s Web. I have always loved fantasy, or the sweet and strange. As a child, my choice of television shows and movies included He-Man and She-Ra, The Neverending Story, Labyrinth and Krull, to name a few. As a child when I would go out farming with my father, I would pretend that I was an explorer discovering new worlds and would race around, dodging monsters and flying beasts and chatting to new friends that were visible only to me. Someone described me as a unique writer of fairy tales for adults, which I think is nice as it’s not something often heard today. And as for what it is that differentiates me, I am really not sure. Perhaps it is that I have only one novel published at this time, but I write to please myself and try not to use creatures or genres currently popular in the mainstream. Having never used a ‘how-to’ guide or attended a workshop of any kind, I am truly not qualified to suggest such things to other writers. I would recommend however that they join their local Writer’s Centre as they have invaluable information for budding authors. Goodreads is a fantastic source of support and encouragement from people who have managed to get published and can give advice, or who are still struggling but can share their experiences. Be patient! I had been warned it would be a month before I heard back from the publisher (which turned out to be a short week) but it felt like forever. The worry, the concern, the certainty that I would be knocked back made me irritable, and each morning when I checked my inbox I grew ever more sure that my manuscript would not be accepted. Patience is not something I’m known for, and it is the one thing I would advise myself to have if it were possible for me to travel back to that moment. I’m sure such advice would have made life for my family so much easier! Sigrid is a young witchwoman of Zircondia, rebel and outcast. 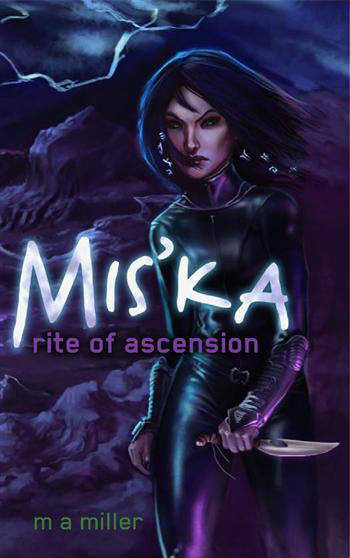 She ‘views’ the bloodthirsty alien wars blasting the skies of a neighbouring world, and her desire to learn the truth behind the beloved Tale of the Banished Trolls leaves her sister cold with terror. I am the fifth child of six, and aunt to five nieces and one nephew. I have two great-nephews, and a forest of family rather than merely a tree. From the age of two I would go out farming with my father, and thought I was the most important person in the world because of it. School readily knocked such ideas out of me, and I took to reading and writing to distract me from the misery that school places on most children. After completing Year 12 I did work experience at the local Magistrate’s Court, had a twelve month Clerical Traineeship with the S.A. Government, worked for some years as a temp (where the jobs were varied and entirely dissimilar to each other), then began working for Angus and Robertson, where I remain today. Writing has always been my passion, and since the publication of my debut novel my coworkers at the Munno Para store have been incredibly supportive and helpful. They recommend Deception to customers, have handed out fliers, bookmarks, posters, and are encouraging the other stores in the company chain to join them in promoting my book. Between them and my amazingly generous and helpful family, I consider myself a very lucky woman. Enchantment’s Deception can also be ordered through Angus and Robertson stores. Today, I’m talking to author Amber Averay. 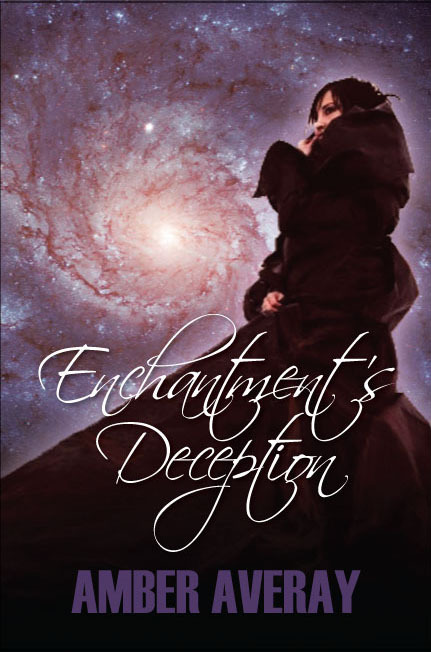 Amber’s first novel — a fantasy and science fiction story — is called Enchantment’s Deception. It’s the first in a series of five and is published by Strategic Marketing and Publishing under the imprint Eloquent Books. Amber, can you tell me how you first came to be published? I had been sending query emails to publishers dealing with unsolicited manuscripts and agents in Australia and Britain. The rare times I was sent a reply it was a polite ‘no, thank you’. I found an agency in America who said they would forward my email to their sister company, Strategic, and to give them a week to reply. The next morning in my inbox was an email requesting the entire manuscript, and to give the publishers a month to get back to me. A week later I was sent my contract. How have you developed your writing skills? Have you done any courses or workshops? I think most of it is self-criticism. When I completed the first draft of Deception, I was supposed to be studying for Year 12 exams, and I handwrote a 93 page story without a title. I was proud of it and myself, and put it away for 6 months. When I went back to it I thought it was the worst thing I’d ever written. I inserted new chapters, edited existing ones, and removed those which I realised were completely unnecessary. This process continued for several years, interspersed with critical feedback from my sister, who told me if she thought passages were boring, repetitive or irrelevant. I had the manuscript, by then called Enchanted World, read by a manuscript assessment agency, who were generous with both their encouragement and criticism. Their main problem was the title, which they considered ’too twee’. I tweaked the work where suggested, changed the title to Enchantment’s Deception, and began looking for agents or publishers. Having never done a writing course or workshop in my life, being told by the agency that I should begin looking to get Deception published as it was a ‘great story that cries out for a sequel, or even a series’ was a huge thrill. Did you have a deliberate strategy to develop your career as a writer? No, not at all. Initially it was something I did for fun after school; writing short stories and poetry gave me a creative freedom that I don’t think many schools allow for. Neither my Primary nor High schools offered creative writing lessons, so it was something that I really did for myself. I always wanted to be an author, but never really knew how I would go about it. When I began Enchanted World, I wanted to write something that my then six-year-old nieces would enjoy as they were fans of Charmed, Sabrina the Teenage Witch, Bewitched and I Dream of Jeannie, to name a few. But as it grew and evolved, I started thinking more seriously about having Enchantment’s Deception prepared for perusal. Do you ever encounter obstacles (in terms of craft) when writing for publication? How do you address them? As this is my first published novel, and one which originally I was going to leave hidden in the back of the wardrobe, I don’t really know what it’s like to write strictly for publication. While working on the second book in the series I have found writer’s block an annoying irritant that comes more frequently than I’d like. When W.B. strikes I step away from my work and don’t touch it again for a week or more until I know I’m ready to get back into it. I know a few people who say it’s best to work through writer’s block, but that has never worked for me. Do you do research for your fiction? If so, how do you tackle it? I don’t actually do any research; I think, if it was closer to science fiction than fantasy, I would have to do quite a bit research, but my novel is set on another world, in another galaxy; and I think, realistically, that’s what I enjoyed the most about writing it. I had the freedom to create something that I could sit and write, without needing to refer to other books. With your novel, what did your publisher expect from you in terms of rewrites? Well, I really don’t have much to say on this topic; my manuscript was accepted, I was sent a contract, and the publication process got underway. I was told initially that the editing process would take up to three months; I think it was the next day I had an email saying they had no editing to do, which was great to hear. The only times rewrites or corrections suggested were back in 2007 when the manuscript assessment agency suggested the removal of a chapter, and the extension of another. Apart from your novel, do you do any other forms of writing? Over the years I have written the four sequels in the Enchantment’s Deception series, created a book of poetry that will likely never see the light of day, written song lyrics. I am working on a screenplay with a friend in America when we can both get on the net at the same time, and we’re also currently collaborating on another project, along the lines of a supernatural thriller. When W.B. (writer’s block) strikes I step away from my work and don’t touch it again for a week or more until I know I’m ready to get back into it. Do you have an agent? Why/why not? I wanted to have an agent, but could not get anyone interested. Then, when Deception was published, I tried again to approach agencies requesting if they would be interested in representing me. Unfortunately so far I’ve not had any luck, but I’m not going to give up. I’ve made it this far with determination, the support of my family and luck; I’ll not be giving up until I’ve achieved my next goal. How do you go about negotiating your contract with your publisher? I have a set contract with my publisher, which does not appear to be open to negotiation at this time. Before I even consider trying to renegotiate, I’d like to try and build up sales of Deception. I’ve had positive feedback so far, so I’m hoping it will have some popularity in the future. What’s happened in the past with publicity and promotions for your books? Have you had assistance from your publishers or have you organised everything? Strategic created a press release for me, and have also made up a book trailer on YouTube. My niece, knowing I’m definitely not very Internet savvy, created a fan page for me on Facebook. My sister and I have worked together making up bookmarks with Deception’s details, which we’ve left with the local bookstores, libraries, and handed out to people throughout the nearest shopping centres. The bookstore I work for have given me a large window for promotional purposes, and we have posters of the book’s cover in store with ‘Coming Soon: Order Now’ signage. I was also interviewed and photographed for our local Messenger newspaper, which has garnered some interest in the book. Have you done a book launch, book signings, spoken at literary events and festivals, or spoken on radio? So far I haven’t been able to get the attention of radio stations, nor have I done any book signings. We have arranged a belated launch, complete with raffle, giveaways, book signing and balloons for children — we are just waiting on the stock to arrive before we can set a date. Have you spoken to schools or other groups? Not as yet; it’s currently school holidays, so I am unable to contact anyone regarding speaking to the students. However, several schools have already stated their interest in having Deception included in the school curriculum for next year. When the holidays are over I’m going to be approaching the schools again, and will continue to do so, until I get an answer. I know you’re not very keen on online promotion, but how do you find online communities such as Goodreads? Goodreads is fantastic. I’ve joined several online communities, such as Elfwood and Authors Den, but I have found Goodreads to be by far the best. The interaction is fun, informative, and nobody is excluded as you can sometimes feel on certain sites. It was my friend in America who introduced me to Goodreads, and I’d been on it for a week or so I think, when I was contacted by Mandy and invited to the Aussie Reads section. I’m not very confident with the internet, but Goodreads has been invaluable. In part 2 of her interview, Amber talks about life as a writer and her writing background. I’ll put up part 2 early next week. Today, non-fiction author Andee Jones explains how she promotes her work. She also talks about life as a writer. What’s happened in the past with publicity and promotions for your book? Have you had assistance from your publishers or have you organised everything? I’ve done the lion’s share of publicity work. Publishers are up to their necks getting new books out, and they don’t have the time required to properly market a book by lesser known authors. I’ve had the luxury of being able to spend eight months pitching for gigs, and it’s paid off — 25 to date. Tell me about your online strategy. Why did you choose to do a blog on MySpace? The MySpace page is essentially a free webpage to which I can refer media and other interested bods. What’s worked well and what’s not worked with your book promotions? What’s worked best for me is to list all possible gigs — radio and TV interviews, print media mentions and reviews, live talks, festival appearances and live readings. I write a targeted letter to each media person, get their name right, thank them for their entertaining program, include a hook/idea that fits their program focus, and do a follow-up call after a week or so. The scattergun approach of generic media release mail-outs resulted in fewer than 1 in 100 successes. Do you plan on trying any other promotions? I’ll try anything that’s promising. Unfortunately, like it or not, promoting one’s book is media-tart-land. I try to keep a watch on any media stuff that’s connected to the ideas in my book — tenuous or otherwise. How do you structure the days that you write? Do you have any methods to keep you motivated? As an older writer, I have the luxury of not having to do anything full-time, and I have no structure to speak of. Perhaps it’s an infantile reaction against my academic training. I go by the principle ‘start and continue’. I start anywhere that has energy, and the writing grows organically. I keep soliciting reader feedback, just so I don’t go off into la-la land, as happened with my first book, which never was and never will be published. If I’m stuck, I do something else for a while. For example, the book I’m currently writing is half-way there, but I needed a break. So I started thinking about cover designs, blurbs, etc. That interval has given me the motivation to press on. How has your background shaped your writing? For 50 years (school+ academia), it mostly got in the way. However, once I found my voice, my background has become the biggest shaping factor. What is it that differentiates you from other writers? What is your ‘author brand’? As a psychologist and writer, I like looking at things from both sides of the couch. This is my niche. I’m also a seasoned client of therapy, and the book I’m working on now is called Barking Mad: Too much therapy is never enough. It’s a memoir about trying to get a grip, losing it, trying, losing … and so on throughout forty years of therapy, a dozen therapists, and a ton of trouble. Feel the fear and do it anyway, that is, before you send the m/s to publishers, ask a bunch of articulate readers what they think of it. Would they want to read it? If not, why not? Nothing more useful than constructively critical feedback from people who know what they’re talking about … as long as you retain the casting vote. 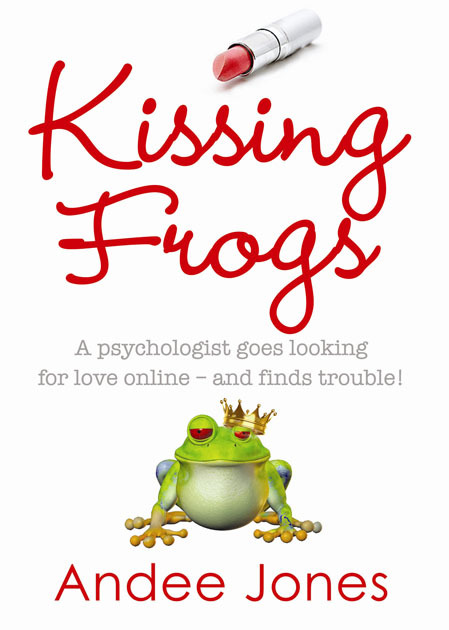 Kissing Frogs is a tragi-comic memoir of four years of dating and relating by a psychologist who at fifty-something went looking for love. AMI4U? Contemplating internet dating? Fantasising about what you’d find? Fretting about kissing frogs? Entertaining and earthy, Kissing Frogs brings a light touch to some pressing questions about love. Andee Jones is a Melbourne-based psychologist, author and former academic. Kissing Frogs is her first memoir. AFI-award winner Annie Byron’s one-woman show based on the book will premiere in 2011. Andee is currently working on a second memoir, Barking Mad: Too much therapy is never enough. Click here to visit Andee’s blog. Kissing Frogs on the Finch Publishing catalogue.